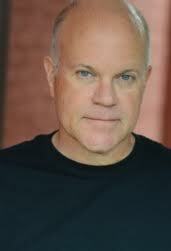 I recently got the chance to talk to Mike Pniewski about his role in ‘Safe Haven’. Here, Mike talks about what it was like working with the cast and crew on-set and how he got into the industry in the first place…. Hey Mike. Thanks for taking the time out to talk to me about your new film ‘Safe Haven’. A young woman living in Boston decides to escape her abusive police-officer husband and ends up hiding out in a small North Carolina beach town. While she’s there she falls in love with one of the locals and wants to build a life there. I play Lt. Robinson, the boss of the abusive husband in the film. The way it usually happens – got a call from my agent that they wanted me to audition for the film. The film stars Julianne Hough, Irene Ziegler, Jon Kohler, Tim Parati, David Lyons, Josh Duhamel, Giulia Pagano and Juan Piedrahita – with Lasse Hallstrom onboard as director – what was it like working with the cast and crew on-set? Any good anecdotes? Had a lovely time working with the cast and crew, especially David Lyons. He and I worked well together and we got a good chance to play with the material and our relationship in the film. Lasse Hallstrom was very kind and supportive. Very easy-going. Enjoyed working with him. And we had a great crew, but the crews in the southeast are always great. My favourite part about working on the film was seeing my old friend Dana Stevens who wrote the screenplay. We both attended UCLA in the early 80’s and it was great to see her again and work with her terrific script. She’s had a great success in the business and it was great to reconnect all these years later knowing that we’re both still competing at a high level in the business. Let’s talk a bit about you Mike. What made you want to get into the acting industry in the first place? I got the bug as a senior in high school after playing Tevye in our production of ‘Fiddler On The Roof’. Got my degree in Theatre at UCLA and immediately starting working hard to build a long-term career in film & TV. I am incredibly grateful to have had a wonderful career for 29 years doing something I love to do. Too many people can’t say that. I am tremendously grateful. My advice is always the same – do what you love and never, ever quit. No matter what your passion, find that thing that you do well and that makes you happy and make that your career. And then be prepared to work as hard as you have to until you reach your goal. It’s always a tough ride following your destiny, but it’s the only way to go. You’re going to have obstacles, but don’t ever quit. Never. I have worked with some great actors and even better – great people. Loved working with Mark Harmon, Tom Hanks, Helen Mirren, Taylor Hackford, Jamie Foxx – I’m a very lucky guy! A LOT of Bruce Springsteen! I’ve been a huge fan of Bruce since 1979. But, I also have Darius Rucker, Sugarland, Lady Gaga, Eric Clapton, Paul McCartney, Garth Brooks, Lyle Lovett and even Eminem. Lots of classic rock, that would be my favorite. Bruce Springsteen, David Letterman and Bill Clinton. They are all incredibly passionate about their craft, they’ve paid a helluva price to make it and I admire what they have done and will continue to do with their talent. And they all have lived their truth – whether you agree with it or not, they have always been true to themselves. I admire that. And I think I’d be a great mix of talent, ego and humor. I don’t read a lot of fiction, so that’s tough. Nothing comes to mind. More of the same, lots of auditions and work. Hopefully you’ll see me back on some of the shows I’m recurring on – ‘The Good Wife’, ‘Necessary Roughness’, ‘Drop Dead Diva’. And I did a film called ‘Devil’s Knot’ that should be out later this year. Previous Helen Holman – (Jacob’s Hammer – 2012). Next Rob Carlton – (Mental – 2012).